We're almost at the end of another week, which means it's time for Field of view — our weekly roundup of all the VR and AR action from the past week, along with some recommendations to set you on your way. This week we've been busy exploring how we get to the future of AR, playing around with the Merge Cube and providing you with the best horror apps to try in VR. But there's plenty more to delve into. So put your headset down and read on for this week's VR and AR news, games and recommendations. A couple of weeks ago, whispers began to swirl that HTC's next standalone headset was going to be called the HTC Vive Eclipse. That's different, of course, to the HTC Vive Focus, which is thought to be the project the company has been working on with Google. Now, with HTC set to hold its annual Vive conference on 14 November, invitations would appear to indicate the Focus is confirmed for an unveiling at the event. 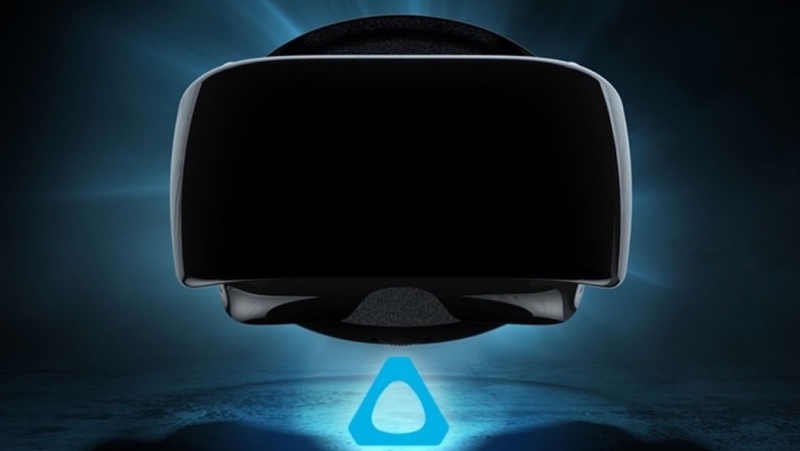 However, this saga gets even more confusing when you throw in the fact HTC is, according to VR Focus, throwing in both a western version and a Chinese version of the standalone headset, with the former compatible with Daydream and the latter running through Viveport. Still with us? Of course, none of this is confirmed, but we should have clearer details once the Vive conference wraps up in a couple of weeks time, so stay tuned. Hey, remember Google Glass? Well, after fading into obscurity and since returning with a different focus through its Enterprise Edition, a filing uncovered by Patently Mobile from March 2016 appears to suggest that a full revision of the smartglasses could yet be launched. It details another glasses-style gadget that uses micro LEDs in a display to show augmented reality information to a user, therefore placing information in front of both eyes as opposed to just above one. This would solve one of the more glaring issues with the original Glass, though whether the world is quite ready to wear futuristic smartglasses — especially considering all the dismal Snap Spectacles news filtering out — still remains to be seen. Microsoft HoloLens is still priced way out of the reach of the everyday consumer, but so far it's done a pretty good job of bringing the mixed reality platform to industries and developers. And it's about to see further expansion. After previously only being available in 10 countries, the Redmond giant has announced it will be bringing an additional 20 European markets into the mix. The company also indicated that it is currently working on software updates and will more news on that front early next year. Yes, the peripheral maker is teaming up with HTC to make it easier to input text inside the VR realms. Together they have created the Bridge developers kit, which consists of a Logitech G gaming keyboard, an accessory that positions a Vive Tracker on the keyboard, and the associated software to improve the ability to enter text. Logitech is seeding 50 of the kits to developers in the hope of creating new experiences around a VR keyboard. It's a sharp idea, and one that really shows off the potential the Vive Tracker offers the platform. We fully expect to see more on this in the coming year. Plant Life Balance is an app that wants to help get your horticultural life in order. Available for iPhones and Android smartphones, it uses augmented reality to help you determine the type of plants you should place in a room that could improve air quality, your overall mood and even offer health benefits. It sounds a bit like a plant version of Ikea's furniture viewing AR app, but it's actually takes things one step further beyond simply seeing how items could look inside a living space. You can download it from the Google Play and iTunes App Store now if you want to give it a try. Available for both HTC Vive and Oculus Rift with cross-platform support, Tractorball is essentially a more farmer-friendly, VR version of Rocket League. And these aren't just regular tractors, either, with every vehicle featuring wild engines and, yup, the ability to go airborne. The title is best played when in a big group, naturally, but it also offers co-op, single player modes and tournaments for you to dive into. It's only a matter of time before this becomes an Olympic sport, so jump on the bandwagon early and get amongst the goals. We at Wareable HQ were big fans of The Heist on PS VR, which sees you thrown into a first-person action drama, break into a high-security buildings and shoot everything in sight upon getaway. Unveiled at Paris Games Week this week was Blood and Truth, a sequel to the mini-game, which will looks to build upon the initial stages and provide users with a more encompassing storyline. There's no timeline yet set for its release, but we imagine we'll be jumping into this at some point next year. Until then, get a little excited by watching the trailer.